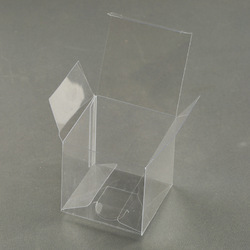 These Plastic Box are designed with superior quality and excellent finishing techniques to make them ideal for Jeweler set. Round shape is always an attractive option for packaging it helps products to appeal at retail shelf. 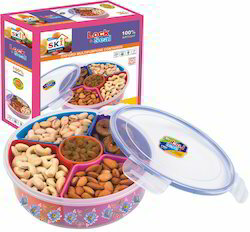 Prime Packaging offers Round boxes( PVC & PET ) with top curling to get more better strength top and bottom forming lid is used to closed the pack. Our round boxes is used to packed Chocolates , T-shirts , Casual Shirts , Tie , Potpourri , Pens , Dates and many more. We are providing an extensive assortment of Plastic Packaging Boxes to our customers. We offer this product at nominal rates. · Two Color Option- Yellow and white. Banking on the skills of our qualified team of professionals, we are instrumental in offering supreme quality range of Plastic Masala Box. Our company is highly esteemed in providing Plastic Packaging Box.